Designed to work hard and play hard, the aggressive all-terrain tread pattern of the Grabber TR provides the off-road grip needed for gravel terrain as well as a smooth and comfortable drive on the road. The product line includes P-metric, LT and flotation sizes and covers the complete vehicle range. The tread pattern is characterised by a computer-aided layout of multi angled self-cleaning tread blocks that ensures its excellent off-road grip as well as a certain smoothness, comfort and safety on-road. 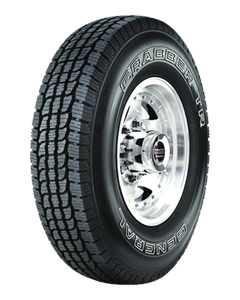 The Grabber TR is used as original equipment for the Land Rover Defender and the Ford F150.